Instant messaging app Telegram has received an update to version 4.7. The new update enables support for multiple accounts on Android devices, while its iOS counterpart has brought four different themes and various accent colours. The app now also includes quick replies, similar to what has so far been experienced on WhatsApp, for both Android and iOS devices. 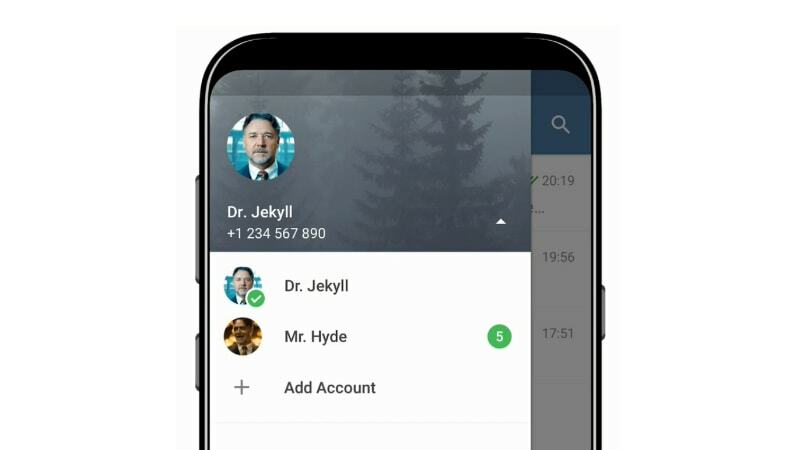 Leveraging the multiple account support on the updated Telegram app, you can add up to three accounts with different phone numbers. You don’t need to own three different Android devices to operate any of distinguished account as the app itself provides you with a single solution. You can quickly switch between the added accounts from the slide menu to send messages from any particular phone number. It is worth noting here that notifications will be available from all accounts by default, though there is an option to change this by going to the Notification settings. For iOS devices, the updated Telegram app has the relevant options to let you change its looks. You need to visit the Appearance settings and then choose between the available four themes, including a minimalistic “Day” and two dark themes – namely “Night” and “Night Blue”. The Day theme also comes with the ability to let you change its view by picking a suitable accent colour for the entire app. To match the experience of WhatsApp, the Telegram team has also added support for quick replies that are available for both Android and iOS devices. You just need to swipe left on any message in a chat to quickly reply to the same with a text, emoji, sticker or GIF. The feature-rich Telegram v4.7 is available for download on Android and iOS via Google Play and App Store, respectively. It debuts weeks after the Telegram v4.6 that brought features such as auto-downloading media, better link previews, albums in Secret Chats, improved security, and embeds for messages from public groups and channels.